Many lenders or business owners wonder what types of contracts servicemembers can cancel under the SCRA. They are right to show concern. Mistakes in this area can be costly. Deployment or moving to another base can upend a servicemember’s life. Without certain protections, these sudden moves could lead to many contract disputes. However, legislation provides certain safeguards to those whose contracts could become unnecessary following a move related to service. The federal Servicemembers Civil Relief Act ensures that if, say, a servicemember based in New York has to relocate their family to California because of a change in assignment, they can cancel the contracts that can’t go with them, without any hassle. Without the legislation, every case of relocation or deployment would serve as a breeding ground for legal battles. Instead, soldiers and their families get certain protections. Canceling contracts is an essential right for servicemembers. Sometimes when a servicemember moves, neither they nor their family need a car any longer. 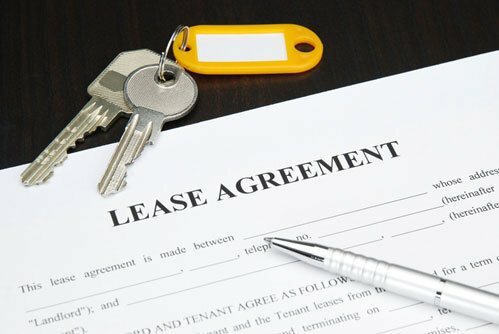 If the servicemember is called to active duty for 180 days or more after signing a lease, then they can usually cancel the agreement under the SCRA. In addition, if servicemembers receive orders for a permanent change of duty station outside the U.S. or receive deployment orders for 180 days, they can terminate their automobile lease. If a servicemember must relocate, they may decide to keep their car. But chances are they will no longer need their apartment or house. Servicemembers can terminate any residential or business property leases they entered into prior to the start of active duty assignment under most circumstances if their permanent duty station changes or if they receive deployment orders for more than 90 days. Under the SCRA, numerous kinds of insurance can be canceled and reinstated without the loss of benefits. For example, if a servicemember has to cancel health insurance when on active duty, the insurer must reinstate the policy upon request without loss of benefits, waiting periods or penalties for the most part. Additionally, the SCRA may protect life insurance against lapse, termination and forfeiture for nonpayment of premiums or indebtedness for the entire stretch of service, plus two years following the end of the active duty period. Servicemembers can also cancel professional liability insurance, and insurers must reinstate it later on upon request. The deadlines for reinstatement depend on the type of insurance. If a servicemember is leaving for a place where their contract does not offer service, they can usually cancel the plan without penalties. If a servicemember receives orders to relocate for at least 90 days to a place that their cell phone service plan does not support, then under the SCRA that person can cancel the contract without any repercussions. It is important to keep in mind the many contracts servicemembers can cancel under the SCRA. Ignoring that right and seeking to enforce such a contract could lead to costly litigation. Moreover, it could put the servicemember and their family through unnecessary stress. Even if the SCRA doesn’t cover an agreement with a servicemember, it may be beneficial to be lenient. Being understanding with servicemembers on deployment will keep the image of the vendor, landlord, or lender in high esteem. In those cases in which you must move forward, it’s essential to verify military status first. Trying any legal action against anyone falling behind on loan or contract obligations without verification is risky. For the fastest verification, depend on the Servicemembers Civil Relief Act Centralized Verification Service. We provide the answers you need, usually within 24 hours.